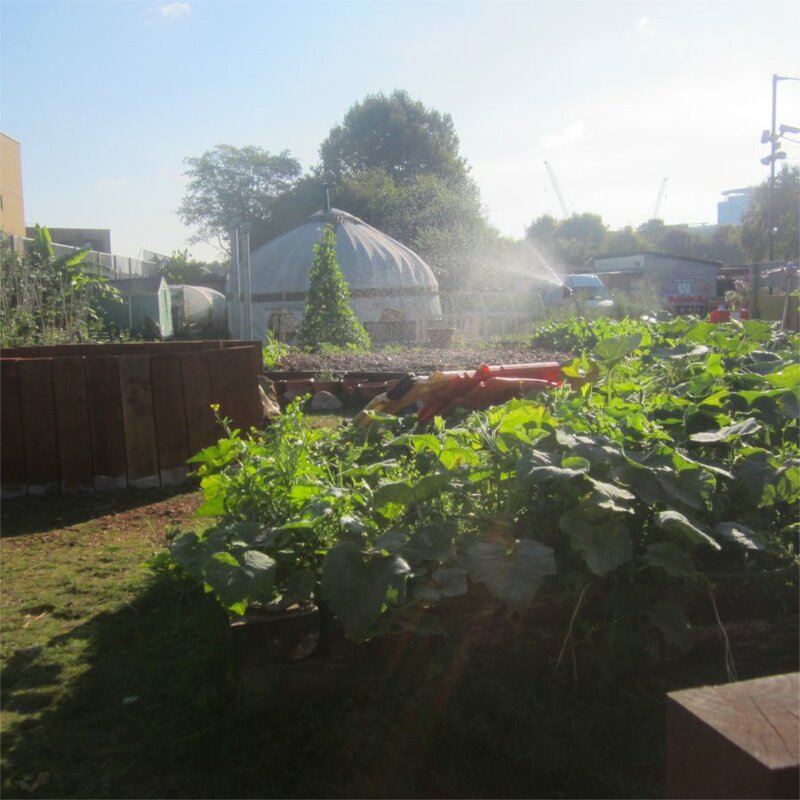 Spitalfields City Farm has a wide variety of green spaces that visitors and volunteers can enjoy. Volunteers provide all the hard work, enthusiasm, fun and expertise with a wide range of gardening/landscaping/food growing/wildlife skills. 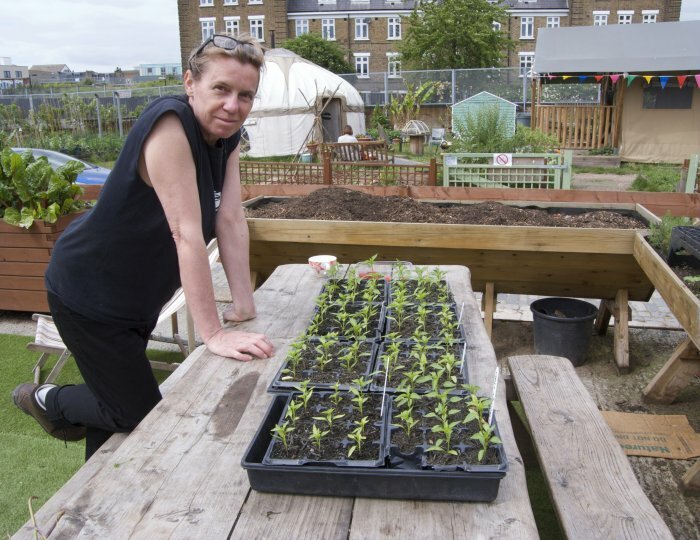 There are several spaces for volunteers to learn how to grow food. 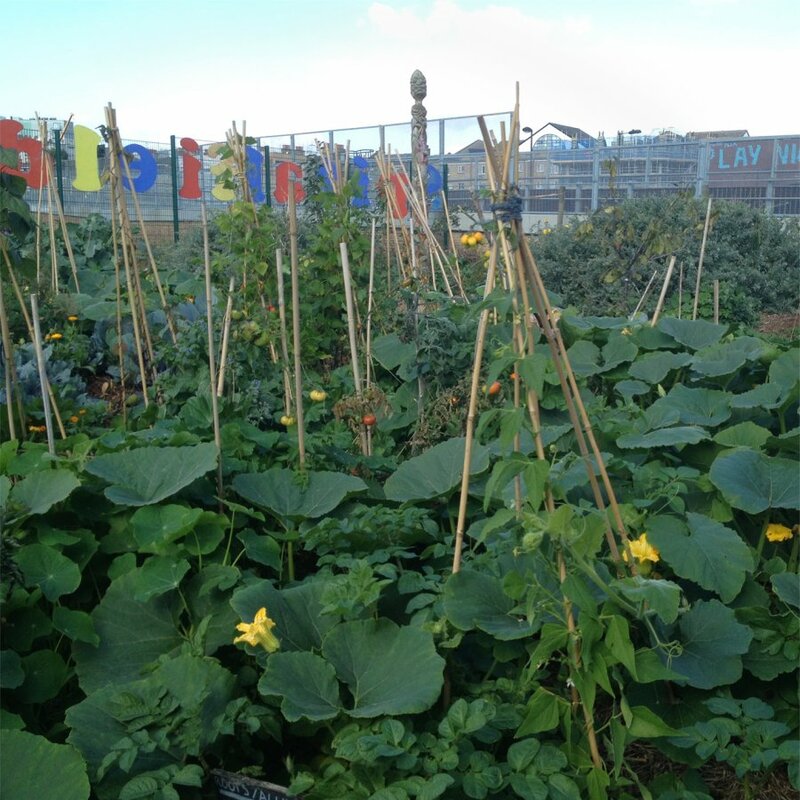 Raised beds have been created in every space available and filled with lots of edible greens. In the vegetable garden, volunteers learn the benefits of companion planting. Volunteers are involved in all aspects of cultivating the vegetable garden and some tasks are more hard work than others. 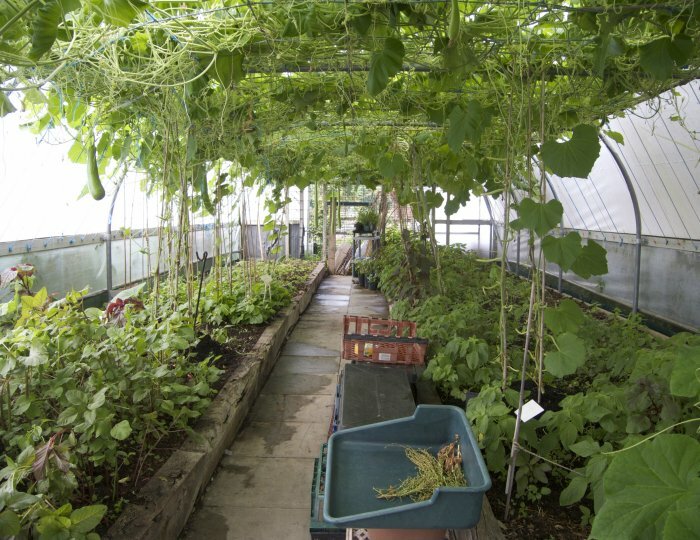 Lutfun Hussain runs the Coriander Club, where, with the help of volunteers primarily from the local Bengali communities, she grows crops in rotation in raised beds and polytunnels. Volunteers provide the labour, learn new skills, and take home some produce at the end of the day. 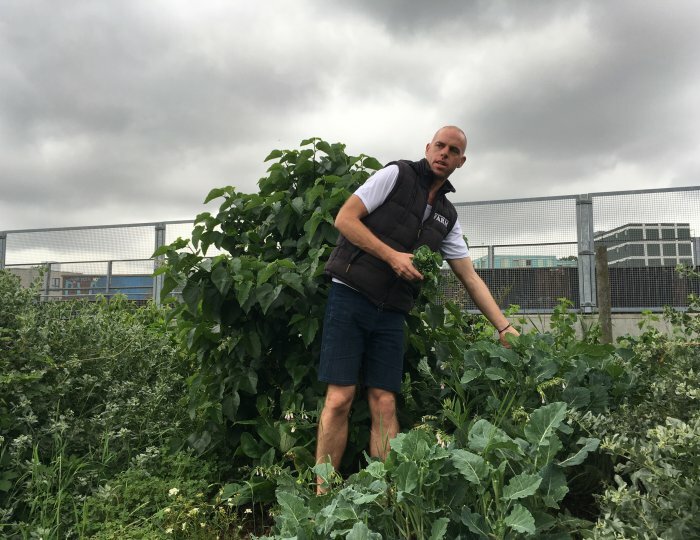 Richard Walker co-ordinates volunteers at the Spiralfields permaculture Garden at the farm. This garden has no mains water, and is designed to be drought-resistant. Richard works with volunteers from different backgrounds. Nathalie Aby volunteers at the farm. She grows her chilies in pots in the polytunnel. 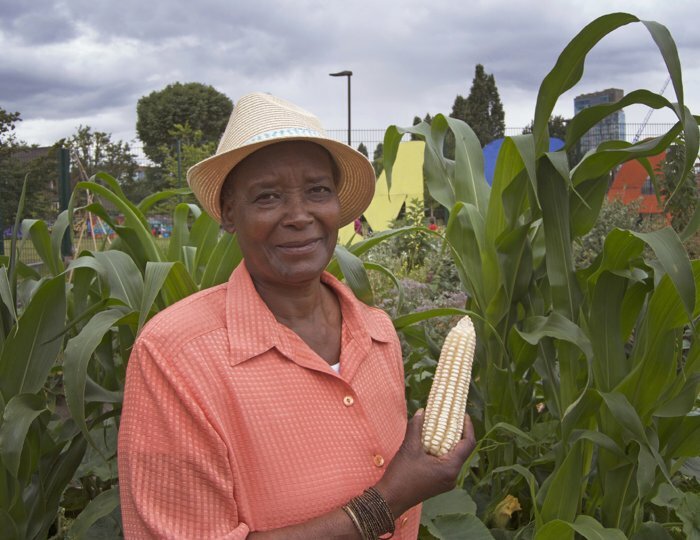 Basilia Gondo and other members of the Zimbabwean Association meet regularly at the farm, where they grow Zimbabwean crops on a couple of raised beds, and sometimes cook meals for everyone.